I am currently in the middle of doing a huge makeover in the girls bedroom and can not wait to show you all! 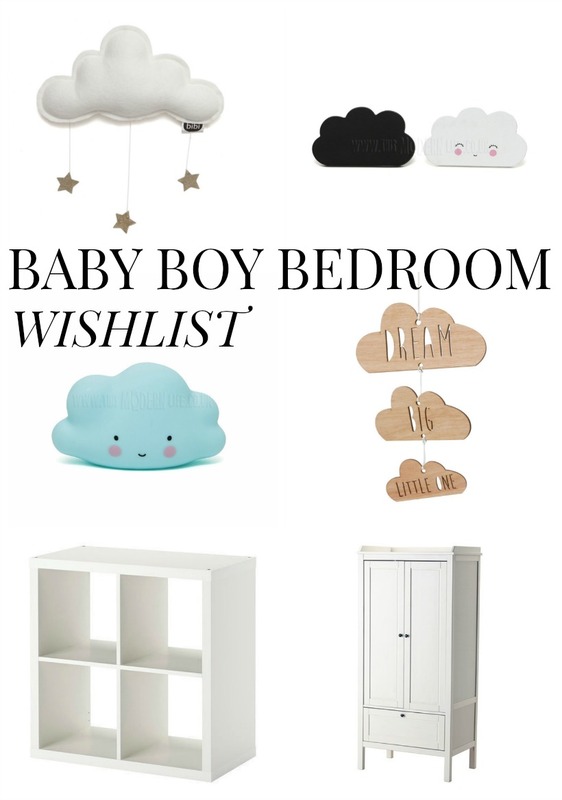 Whilst I have been doing the makeover I have been thinking about how I would like Baby boy's room too. Baby boy's room will only be a small box room but big enough for a wardrobe, toy box and single bed when older. At the moment we have some shelves, cot and moses basket to put into the room, along with all the clothes too. I need to purchase some more storage such as chest drawers and a rail to hang and keep his clothes. Many themes came to my head such as - Blue pastels, Grey clouds, Monochrome, Superhero Monochrome, Jungle theme, Stars and more. But the theme I have decided on is Grey clouds with a bit of pastel blue and elephants. For some reason I have a huge love of elephants on baby clothing and thought it may look great to add with the clouds in his bedroom too! We have clouds and stars in our toddlers room and I just love it. Great picks! Aww I love all the clouds, they're so sweet! Something very relaxing and calming about them. An infant needs insurance and watchful direction. He or she is similar to a little plant that needs a solid wall to develop. Try not to repress your kid by being overprotective. The youngster's room ought to typify these qualities. Here are a couple infant room adorning thoughts. It is very important to make sure that all of the furniture in your baby boy nursery is safe. That is why if you know nothing about furniture for nursery, it is highly recommended for you to ask for a help from someone's professional. Comfort in sleep seems to be such an elusive quality to attain, and this is especially true for infants and young children. Newborns and babies generally have more sensitive skin than the average child, let alone adult, and can be irritated by the slightest change in temperature or other environmental conditions.